We are so excited to be opening for our 3rd season on April 22nd at 9:00 am. Weekday hours will be from 9:00 am to 6:00 pm and will be open weekends from 9:00 am to 5:00 pm. 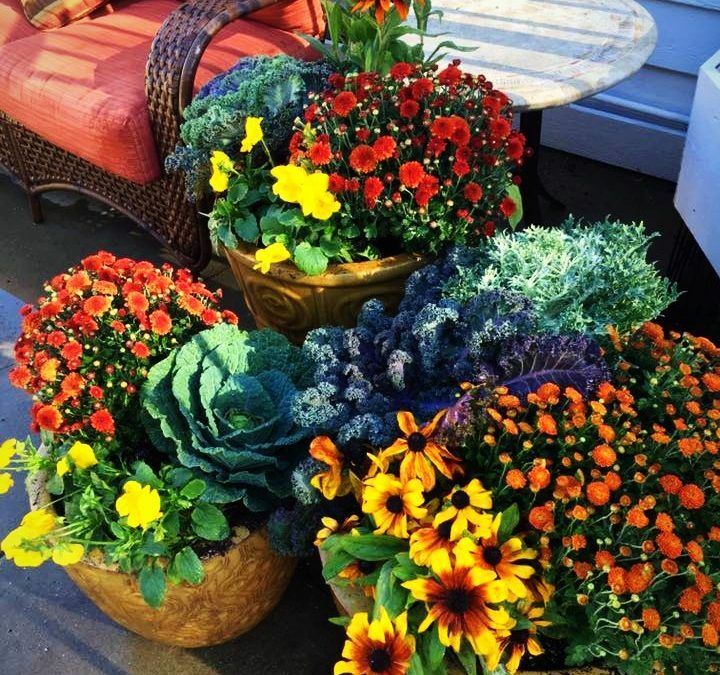 We will have a large selection of annuals, perennials, hanging baskets, shrubs, succulents, and a select group of trees to complete your landscaping projects. 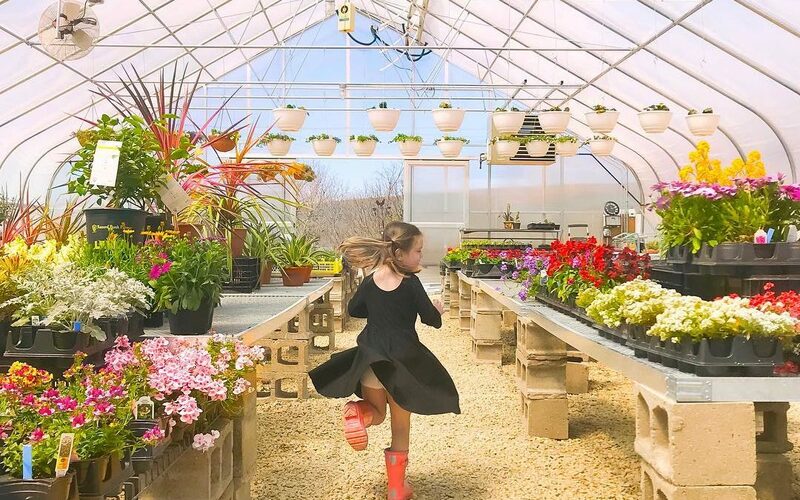 New for 2019: Fairy garden and terrarium supplies, hands on garden classes and family events and a vintage farm market on Saturdays beginning May 18th. Of course, please inquire about our home gardening services – our outstanding group of gardeners can tackle any plant project large or small. Join us for Pre-Opening Weekend Events! Additionally, we will be teaching fairy garden & terrarium classes, crafting a crackle gourd bowl, introducing a vintage farmer’s market and teaching a sandcasting leaf art class. Other fun events planned include ladies’ night out and family picnics. Please visit our facebook page at http://www.facebook.com/JadasGardenBlueMounds/ for more information or check back on the “Events” tab of our website. We are busy growing hanging baskets, container pots and vegetables and deliveries will be arriving soon to fill up the greenhouse with gorgeous plants and shrubs – can’t wait to see you! Come check out the newest greenhouse in the area! I will be opening Saturday, April 21st and will have weekday hours from 9:00 am to 6:00 pm and will be open on the weekends from 9:00 am to 5:00 pm. 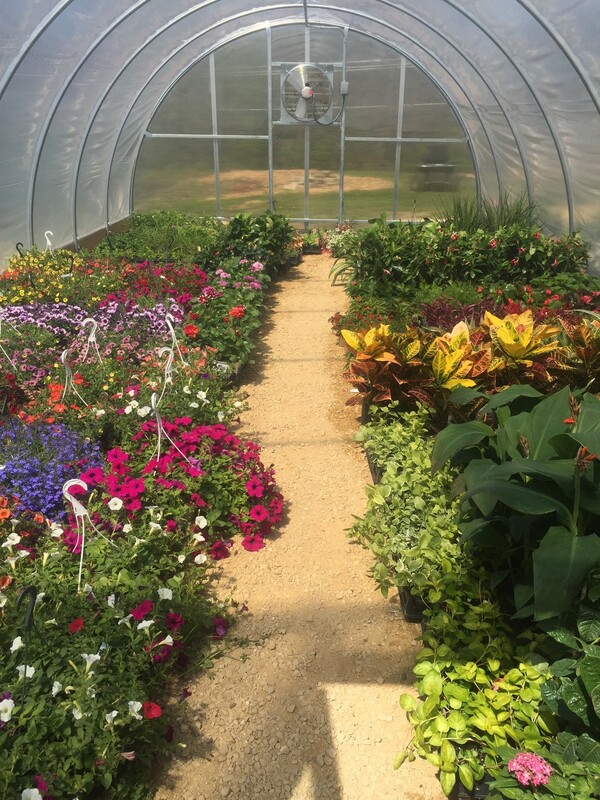 We will have a large selection of annuals, perennials, hanging baskets, shrubs, succulents, air plants and a select group of trees to complete your landscaping projects. 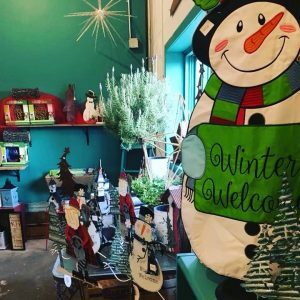 New for 2018: Locally grown vegetable plants and an expanded pottery & gift selection. Of course, please inquire about our home gardening services – our outstanding group of gardeners can tackle any plant project large or small. Join us for Opening Weekend Events! Additionally, we will be teaching a hypertufa class and holding sessions introducing air plants, succulent gardens and sandcasting leaf art. 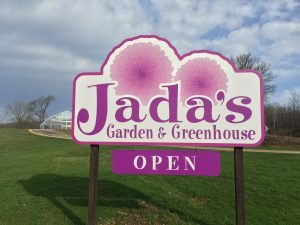 Other fun weekends are planned – please visit our facebook page at http://www.facebook.com/JadasGardenBlueMounds/ for more information or check back on the “Events” tab of our website. 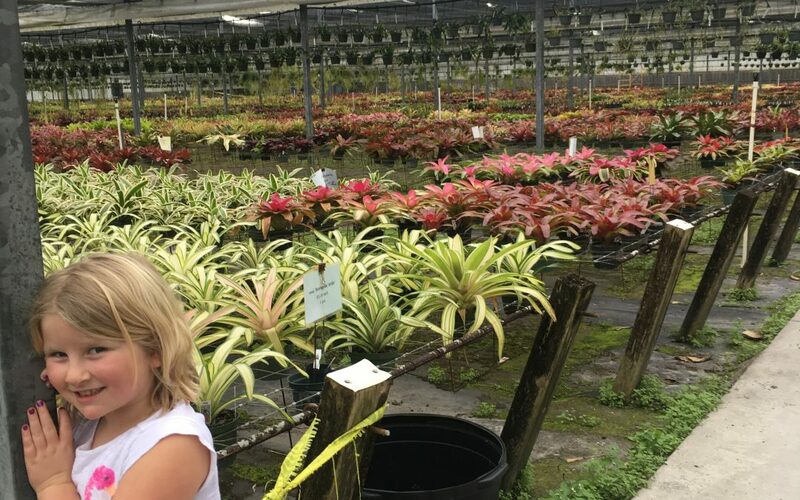 We are busy growing, and deliveries will be arriving soon to fill up the greenhouse with gorgeous plants and shrubs – can’t wait to see you! 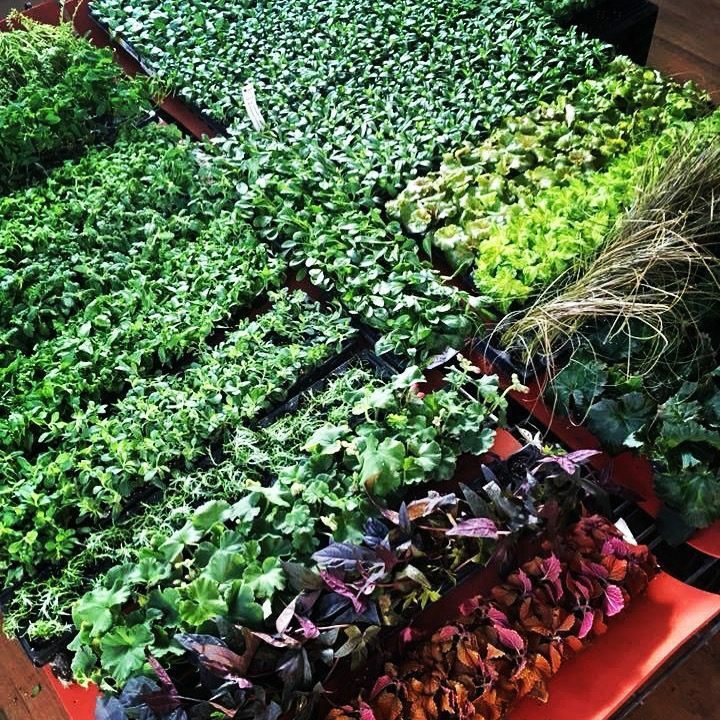 It always feels like a slow crawl, but spring is coming at the greenhouse! Cleaning, painting and maintenance are now daily activities up on the hill. We are also busy planting containers, hanging baskets and vegetables plants. 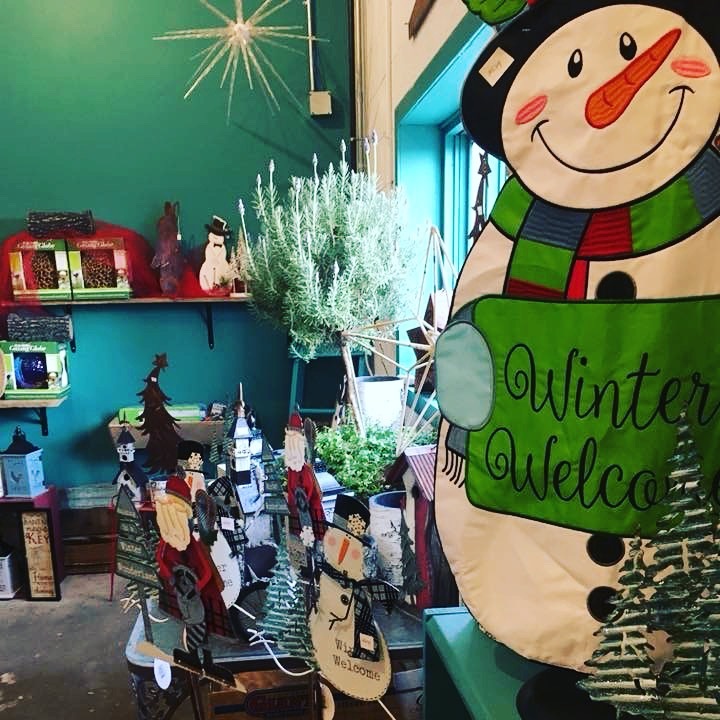 The feel of the holidays comes back when we unpack and price our fun new garden accessories, gifts and other garden helps in preparation for our opening the end of April. It won’t be along until the crocus, snow drops and daffodils make their early spring visit and cheer us up with their arrival. Now is the time to start thinking about planting seeds such as peppers and tomatoes in SW Wisconsin. Please keep visiting out website for upcoming information on early season classes and our opening dates and greenhouse hours! Winter Opening is November 24th! Come check out the newest greenhouse in the area. I will be opening for the holiday season on Friday, November 24th and will be open on Fridays & Saturdays from 9:00 am to 4:00 pm and Sundays from 10:00 am to 3:00 pm through Dec. 10th. 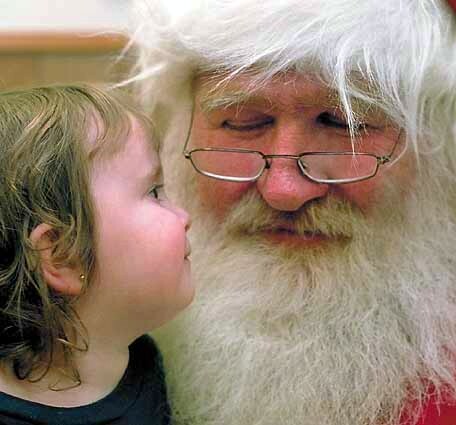 We will have nice selection of greenery, wreaths, garland, berries, red twigs and curly willow, ribbons and so much more. My shop is setup and ready to browse and it is full fun holiday garden & gift ideas. 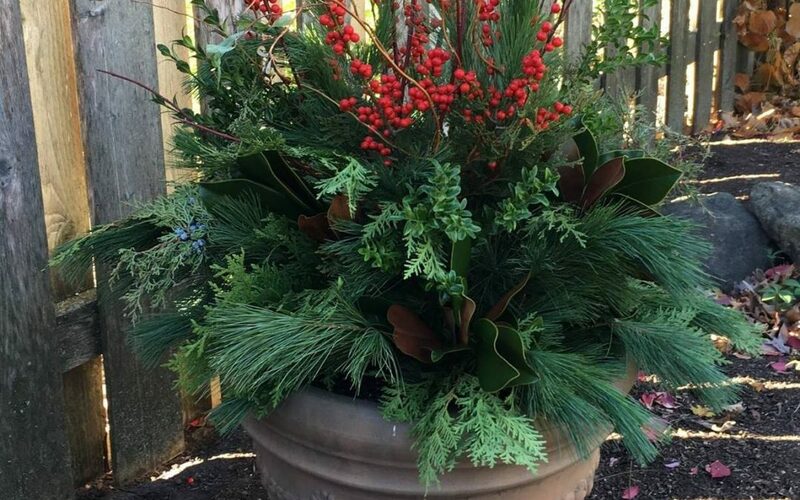 Black Friday and Small Business Saturday feature our Winter Container Event. This annual event encourages you to bring your own weatherproof container, or shop our large selection of outdoor winter pots. 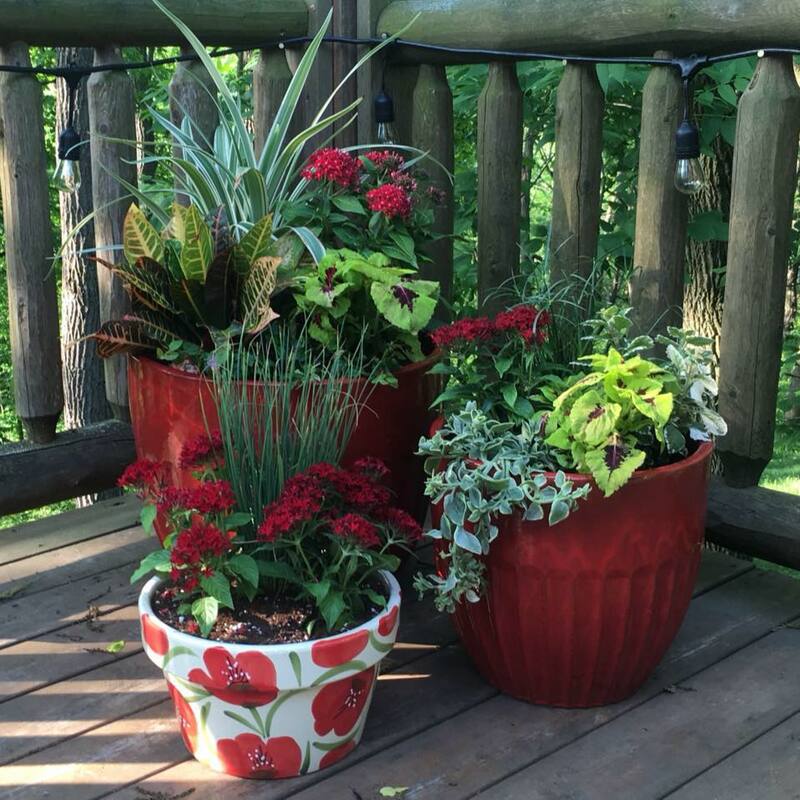 We will help you design a container for outdoors that will last into the new year. Just stop in anytime during the weekend, no appointment needed! Please consider shopping local this holiday season!